Let your guests grab a glass of sake while they picnic under the beautiful blooming sakura trees with Cherry Blossom Circle Drink Tickets. 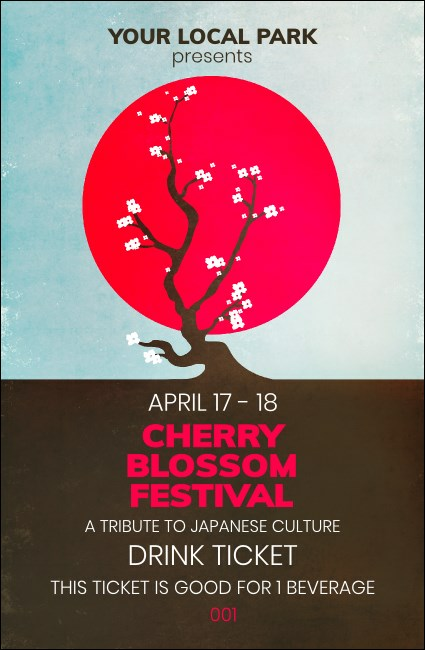 Celebrate traditional Japanese culture and help bring spring into full bloom with tickets that feature a stunning red moon rising behind a delicate cherry tree. Find the right ticket for any season at TicketPrinting.com.